Russia’s Alina Zagitova took home the ladies’ title at the International Skating Union (ISU) European Figure Skating Championships in Moscow after some excellent displays over the course of the event. The 15-year-old was awarded 159.97 points by the judges for her free skating routine on the final day of competition at the Megasport Sport Palace, giving her a gold medal-winning points total of 238.24 when added to the 80.27 points she earned for her victory in the ladies’ short programme on Thursday (January 18). Zagitova’s win in the Russian capital comes as a huge surprise as she managed to finish ahead of compatriot Evgenia Medvedeva, who had to settle for silver despite having been the favourite for the gold medal before the competition started. Medvedeva had not lost in two years heading into the championships. Dancing for the first time since November following a broken foot, the 18-year-old was awarded 154.29 points in today’s competition, giving her a total 232.86, which meant she only claimed silver. Despite only finishing fourth in today’s free skate, Italy’s Carolina Kostner, a bronze medallist at Sochi 2014, claimed the bronze medal with an overall total of 204.25 points. 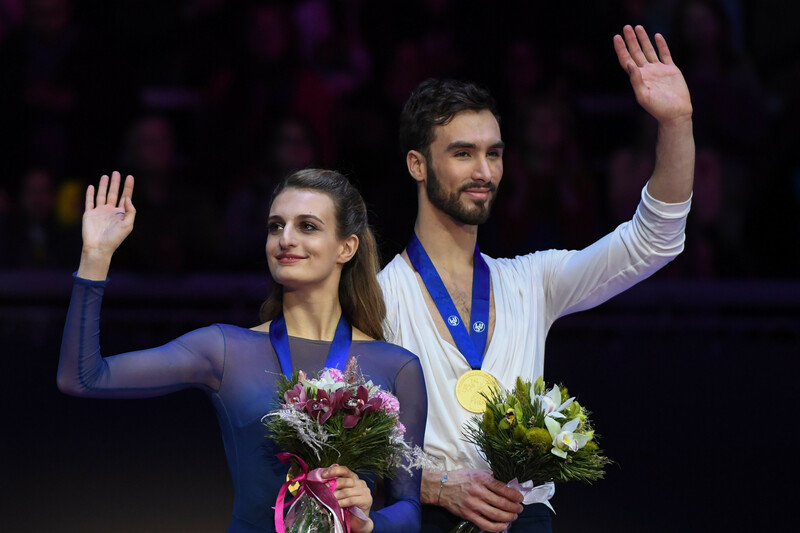 Earlier in the day, French duo Gabriella Papadakis and Guillaume Cizeron secured their latest title after victory in the free dance event at the International Skating Union European Figure Skating Championships in Moscow. The pair performed the free dance section of the ice dance event to excerpts of Beethoven's Moonlight Sonata and were awarded a record 121.817 points for their efforts at the Megasport Sport Palace in the Russian capital. Added to their score of 81.29 points from the short dance event yesterday, their final total read 203.16, ensuring they clinched gold. "I think we're very happy with our scores and we had a great feeling on the ice today," Cizeron told Reuters. "[We'll] just keep working as usual and really just keep working with our team. "The Olympic Games will come up very soon now and we're really excited." Papadakis added: "We are very satisfied with what we did. "It wasn’t an easy competition because it falls in the middle of our Olympic preparations. "We wanted to prove to ourselves we were ready and see what we had to improve for the Games. The silver and bronze medals were taken by Russian couples Ekaterina Bobrova and Dmitry Soloviev and Alexandra Stepanova and Ivan Bukin, who were awarded 187.13 and 184.86 points respectively after the two events over the weekend.